Randy Williams founded the Keiretsu Forum in September 2000, to provide a disciplined and structured approach to private equity investing. Randy’s passion for investing and bringing together like-minded community leaders has created powerful and giving environment for entrepreneurs. Randy has 25 years of experience in finance, real estate, and marketing. He currently holds board and advisory positions in eight companies. Randy is co-founder and Director of Diablo Valley Bank, which was acquired by Heritage Bank in 2007. 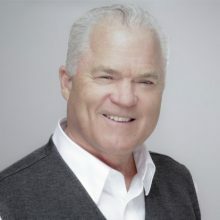 Randy was President of Pacific Union Commercial Brokerage, founder of the LaMorinda Bank, and Managing Director of Kennedy-Wilson International, an international real estate investment company. Randy is also the founder of the Keiretsu Forum Charitable Foundation. Since its inception in 2001, 91 deserving charities have been granted sizable donations. The goal of the Keiretsu Forum Charitable Foundation is to grant $250,000 annually, to worthy local charities throughout the Keiretsu Forum regional chapters. Randy is a frequent guest speaker at investment conferences, leading universities, and business schools. Randy holds a Bachelor of Arts degree from the University of California Berkeley and Masters degree from St. Mary’s College of California. He is an avid Masters swimmer, holding past Master’s World Records. He was also an All-American Water Polo player at Cal. He lives in Orinda with his wife Maile and their two children, Ford and Summer.